Small portable foam concrete machines are now widely used in roof insulation, floor heating, casting and CLC blocks. Due to high performance, low cost, become the most popular building materials. Our GF15 small foam concrete machine is specifically designed for roof insulation and floor heating. The unit includes feeders, mixers and pumps. We designed the automatic foaming system together with the pump, thus reducing the size. For these projects, small and easy to carry, may be the most important factor we should consider. We use brand-name motor long-term guarantee of continuous operation of the machine. 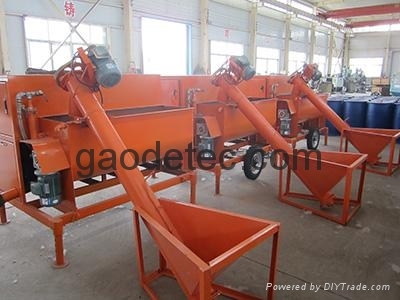 If you are interested in this small portable foam concrete machine, please contact us.